The most notable change over previous images is the finished new taxiway (with dark shoulders) in the center of the image. The older runway 14/32 on the left is no longer used and marked as closed with large yellow X's. The access ramp to Hangar 19, the arm/de-arm scoot-n-hide hangar, has been extended to the new taxiway. The old E-W taxiway has been partially removed. The new taxiway is 4625 ft. long and 125 ft. wide. It connects the southern ramp area with the northern section of the new runway 14/32 on the right. This provides a convenient shortcut for Janets, which usually land on Rwy. 32 and take off on Rwy. 14. The Janet ramp is just north of the western end of the new taxiway. The benefits of the new taxiway are obviously saving taxi time for the Janets, and avoiding the section of the northern taxiway at the north end of the old runway that is prone to flooding after heavy rains. However, both could have been accomplished much easier and cheaper by widening and extending the existing taxiway east of the Red Hat hangars. Most likely, the new center taxiway and the new ramp to the scoot-and-hide hangar are connected to a new project that is about to move into the South Ramp area, where several construction projects can be observed (see below). Access to Runway 14/32 from the South Ramp would be much faster with the new taxiway. And, as an added advantage, the most likely top secret development does not have to taxi past the entire base, with personnel not briefed on that project. Two Janet 737's can be seen parked at the Janet terminal, as well as three of the smaller biz-jets. 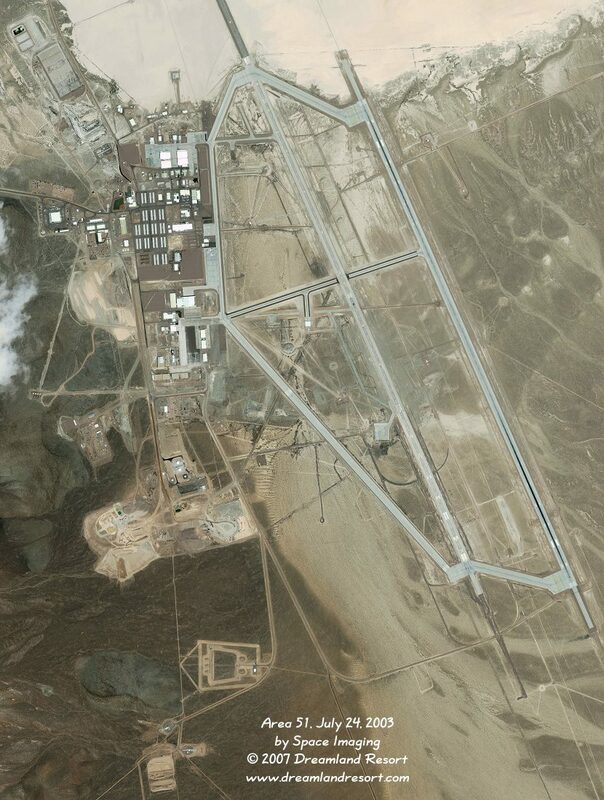 If you look closely you can even see an F-16 parked on the northern ramp, west of Hangar 6.